Tip 1: Does your cash home buyer accept your home as is? A cash home buyer who expects you to clean up your home and make repairs might as well be a real estate agent. Believe it or not, some home buyers expect homeowners to tidy up, patch up, and fix up their homes after they make a cash offer — and they’re not going to change their offer once your home is cleaner and more valuable. Ultimately, these companies are looking to make more money and do less work, which isn’t fair to homeowners who are often in difficult life situations where time is of the essence. A quick home sale should be exactly that: quick. You shouldn’t have to clean things up, make expensive repairs, or listen to the desires of a picky home buyer — you should get a fair cash offer on the spot or shortly after. Tip 2: Does your cash home buyer have a simple process? If your cash home buyer requires excessive amounts of paperwork, home tweaks, and other flaming hoops to jump through, you’re not going to have a home sale that’s as quick as you would like. Home buyers who require you to sign a ton of paperwork with fine print and legal jargon might be up to no good — a quick home sale really doesn’t (and shouldn’t) have to be that complicated. A fast home sale requires a simple process — a speedy walkthrough of your entire property, a fair cash offer on the spot, and a seamless closing process that takes a few days, not a few weeks. The best cash home buyers don’t have the time to complicate the process — they make things as simple as possible for the sake of their business and homeowners in their community. Tip 3: Does your cash home buyer have experience in real estate investment? If you needed a plumber to fix your sewer line, would you rather have a brand new plumber going out into the field for the first time, or an experienced plumber who has seen every sewer line problem in the book? Ultimately, there’s no better teacher than experience — especially for cash home buyers. Anyone can buy a house with cash — but not everyone can understand the correct legal processes and steps to take for a successful home sale and a stress-free customer experience. The best cash home buyers understand every nuance and intricacy of homeowners, housing markets, home titles, finances, and everything else that goes into a cash home sale — and that means homeowners will be fully satisfied with the cash offer and the overall experience they get. Tip 4: Does your cash home buyer give you a reasonable price and closing date? The whole premise of selling your house fast through a home buying company is to get a reasonable price and a fast closing date — it’s what separates cash home buyers from the more traditional real estate route. If your cash home buyer isn’t fulfilling one or both of these obligations, it’s time to find a new one. Homeowners who need to sell their homes fast are often in difficult financial or personal situations — and unfortunately, that means some home buying companies will give unreasonably low offers for valuable home in order to take advantage of those difficult situations. If a homeowner thinks that selling their home for next to nothing is the best option and the only option, then they will fall into the trap and lose out on cash they deserve. The best cash home buyers are in the business to help those in need, regardless of the situation at hand. They offer fair cash prices that cater to the homeowner’s specific situation, but make sense compared to current values in the real estate market. They offer a quick and free closing process so both parties can move forward with ease. They care just as much about the homeowners in their community as they do about their investments. Tip 5: Does your cash home buyer have hidden fees? In a typical cash home sale, there’s a cash payout to the homeowner while the cash homebuyers handle the closing costs, and up-front fees are paid to the homebuyers. But that isn’t always the case. In some instances, home buying companies will charge the homeowner processing fees, administrative fees, and other fees with nebulous names. It’s nickeling and diming at its best. But the worst part is that many homeowners don’t know about these fees until they’ve accepted their cash offer. As a homeowner, you shouldn’t have to deal with hidden fees, especially during hard times. 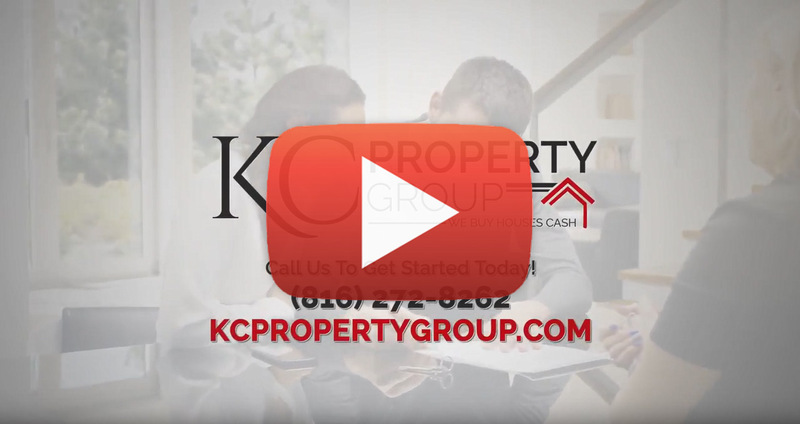 Cash home buyers at KC Property Group are upfront and transparent about the costs of our services — no need to worry about hidden “service fees” that will eat into your cash payout. Tip 6: Does your cash home buyer have a solid reputation? Most businesses make grand promises, demonstrate value, and show off their perks — but do they have the positive online reviews and the strong reputation in the community to back that up? Businesses can say just about anything — they can embellish, bend the truth, and sell half-truths in an attempt to build their client base. Fortunately, online reviews and reputable consumer advocacy websites can make sense of some of the claims that businesses make on a day-to-day basis — they’ll expose some of the problems with these businesses, and give you valid reasons to either choose a business, call to learn more, or avoid it altogether. Bad reviews for cash home buyers aren’t like bad reviews for restaurants — the stakes are much, much higher. If you notice that a home buying company has plenty of poor reviews on Google and other websites, it’s not because they didn’t like the shirt the agent was wearing — it’s because there was something about the process that made their difficult situation even more difficult. Whether it was an unreasonably low cash offer, hidden fees, excessive paperwork, or shady processes, the only time people are compelled to write negative reviews about cash buyers is when something goes terribly, terribly wrong. Look for a home buyer that has solid reviews on the internet — and more importantly, look for a homebuyer that has the seal of approval of someone you know in real life. A friend or neighbor who has worked with a home buying company will give you an honest and thorough look at their experience, which is much more valuable than the opinions of those on the internet. Tip 7: Does your cash home buyer cover closing costs? If you notice a cash home buyer doesn’t cover closing costs or title fees, it’s time to raise the red flag. If they don’t want to cover these costs — which are a drop in the bucket compared to the money they’ll shell out for a cash offer — then it shows they’re cheap, strapped for cash, or both. Where else can these companies nickel and dime you in their quest for financial stability? You guessed it: they’ll charge hidden administrative fees and low-ball you with their cash offer. The best cash home buyers want you to sell your home fast, and they have the working capital to make it happen. They’re experts in real estate investment, so they’ve put themselves in a solid financial position where they can cover closing costs without any worries. Tip 8: Is your cash home buyer a Kansas City local? Some cash home buyers will set up shop in a new place in hopes of making large amounts of money. They know nothing about the communities they serve or the housing market conditions within that community — they’re around to make as much money as possible in a short amount of time. That means people in the community will get lower cash offers, poor service, and a worse experience overall. Local cash home buyers are a part of the community — they’re friends and neighbors who want to help people in difficult situations and make their lives easier. They understand the past and present conditions of the local real estate market, and they have a wealth of knowledge on neighborhoods throughout the area. This knowledge makes for better cash offers, better service, and better business. Tip 9: Is your cash home buyer honest and transparent? Honesty is always the best policy, especially when it comes to cash home sales. If your cash home buying team can’t be honest with you, or they avoid providing you with important information and updates, then it’s clear they have something to hide. Your cash home buyers should be open, honest, and trustworthy so you can have the easiest home sale possible. KC Property Group is your trusted source for quick home sales in Kansas City and the surrounding areas. With an easy process, fair cash offers, and no closing costs, you’ll be able to sell your home fast and move on without any headaches. Call us to schedule an appointment at your property today.